Posted on July 5, 2017 at 10:39 am. In a fire, nothing is more important than getting yourself and others to safety. What happens in the hours and days after a fire may not be quite as instinctive. We may not know where to begin or who can guide us through the recovery process. 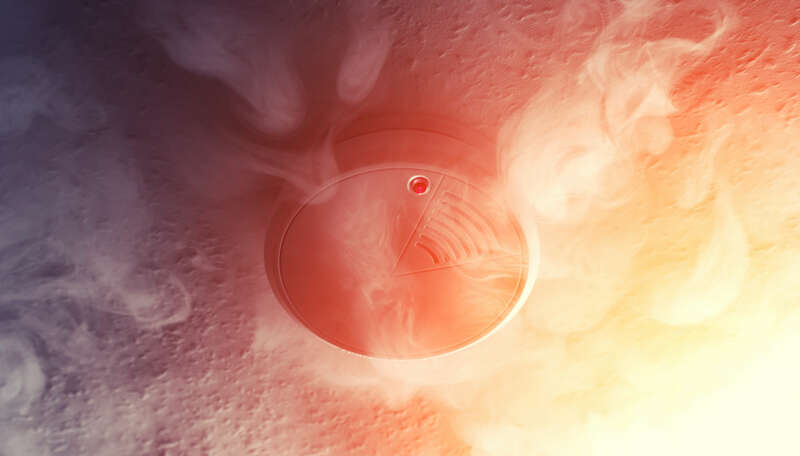 In this article, the Rogers team of contractors shares some knowledge and experience to help you get your fire damage restoration services. Agencies around Terre Haute and the greater Wabash Valley area are here to assist you. While this may be your first fire, plenty of people have the necessary expertise to help. Local government agencies, charities, and water damage restoration service companies have the experience and know-how to get you and your family back on your feet. When the path gets complicated, it’s best to put one foot in front of the other. Here are some steps to take. You may be eager to get back inside your house or apartment. It’s critically important that you not re-enter the premises until the fire department has cleared it. Structural damage, electrical dangers, and dangerous fumes all pose a threat. Long after flames have been extinguished, the effects of smoke inhalation can linger. Symptoms include coughing, wheezing, difficulty breathing, and a high temperature. Even if you were nowhere near the fire, you may experience the anguish it can cause. You may have lost treasured items and important documents, have insurance to contend with, or need to find a safe place to stay. It’s important to take time to rest so that worry doesn’t magnify into a health crisis. Remember, too, that children may need help dealing with trauma. Even pets need to feel (and be) safe and secure. Call a team of expert contractors that specializes in fire restoration services to assess the damage to your property. Rogers Home Improvement works directly with your insurance company. Our restoration team can be a valuable resource as you take the next steps toward recovery. If the fire has forced you from your home, many organizations are standing by to help. The American Red Cross or the Salvation Army may be able to provide assistance. These organizations can offer personal cleanup supplies, clothes, food, medicine and medical devices (including glasses), pet supplies, and even temporary housing. Local hotels sometimes offer a few nights of free lodging for people displaced by a fire. Let the post office know whether to forward or hold your mail. Tell the utility companies if they need to turn off your services. Contact your credit card companies and your bank if you lost cards or other important documents in the blaze. Give a neighbor instructions for how to reach you, just in case a need arises while you’re away. It’s hard to know what to do with the water, ash, soot, and ruined items from a fire, especially when it’s your home that has suffered the damage. As expert home repair and fire cleanup contractors, the Rogers team is on call to jump in immediately. We’ll assess the damage, board up openings, and help secure the home ahead of restoration. Removal of debris, cleaning, and deodorizing comes next, followed by replacing carpets, drywall, and damaged wiring. When the time comes, we can even replace the roof and remodel, with the goal of getting you back in your home as soon as possible. A fire can feel devastating, but you don’t have to deal with it alone. If you need help, call our team of fire cleanup contractors. Rogers Home Improvement has been serving the Terre Haute, Greater Wabash Valley, and Eastern Illinois areas for more than 25 years.